We expect the staff we employee to have that special caring quality which is why they enter this profession in the beginning, they also need to be able to adhere to residents needs and to have a clear understanding of policies and guidelines as set out by Care Quality Commission. 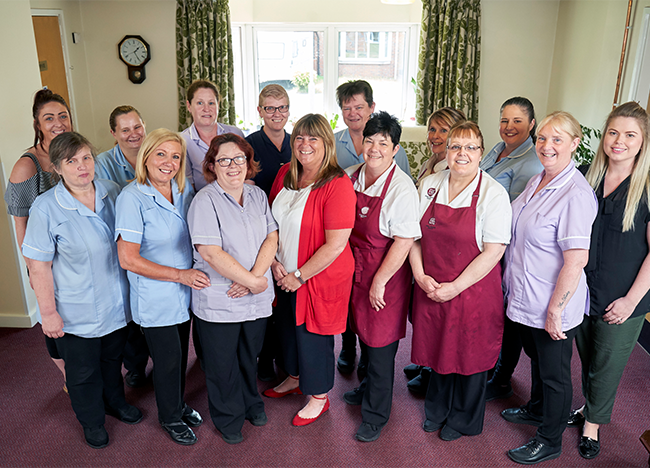 The extremely high standard we set for each one of our care homes is produced through the high calibre of care staff we employ, this starts at the management structure then continues all the way through our employees. We pride ourselves on the fact that we will do whatever it takes to make our residents happy, they are the most important part of this business. If at any stage you have questions about care and the options open to you, call us on 01746 766661, and our dedicated staff will be happy to help.